I had lunch in La Coruña once without realising it was a Notable Bar. It was certainly notable for its wooden refrigerators, clearly original furniture that had not had a proper clean in decades and the piles of greasy, carbohydrate-laden goodness that it served up. 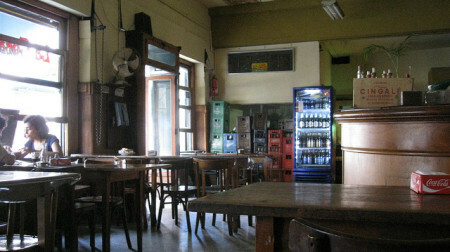 The place was run by one lady who served as waitress, bar staff and cashier and who called all of us “Mi Amor”. I returned to La Coruña last week and my heart sank as I saw the shuttered windows. Bars generally don’t just close at 3:30 in the afternoon, there was probably a more serious reason. And it turns out there is. Owner Manuela Lopéz (who served us our milanesas with fork and spoon) has had enough after decades of service and has called time at the bar.